Since 1987, Gilbane has provided services for Tarrant County on three separate projects that now include seven buildings with the completion of the jail in 2012. With a continuing need for expansion of the original facilities dedicated to processing 120,000 court cases per year, Tarrant County hired Gilbane to manage and build three separate projects. The original justice support facilities included a court facility with 40 courtrooms, a 1,400-bed corrections facility, as well as buildings for the County’s Child Protective Services and Medical Examiner’s office. Gilbane brought the project under budget by $7 million and delivered the facility two months ahead of schedule. 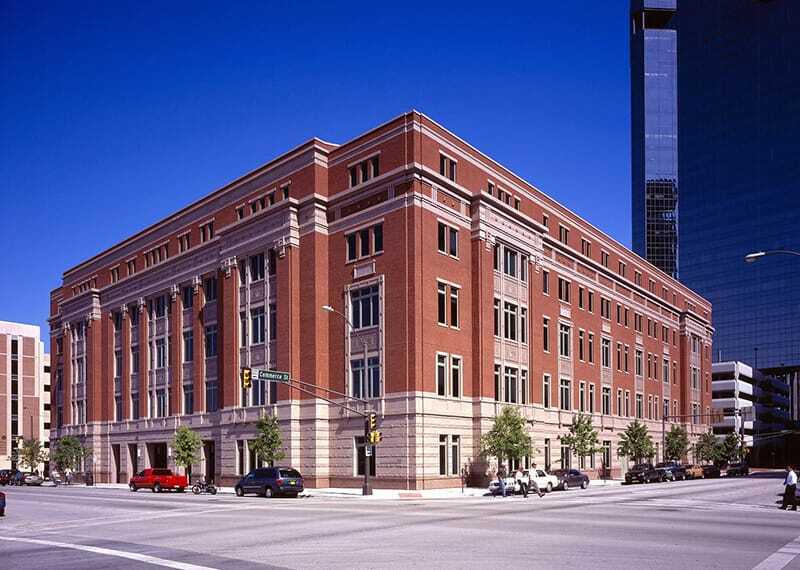 Further expansion was needed by 2001, in which Tarrant County rehired Gilbane to provide CM at Risk Services for The Family Law Center and Parking Garage. 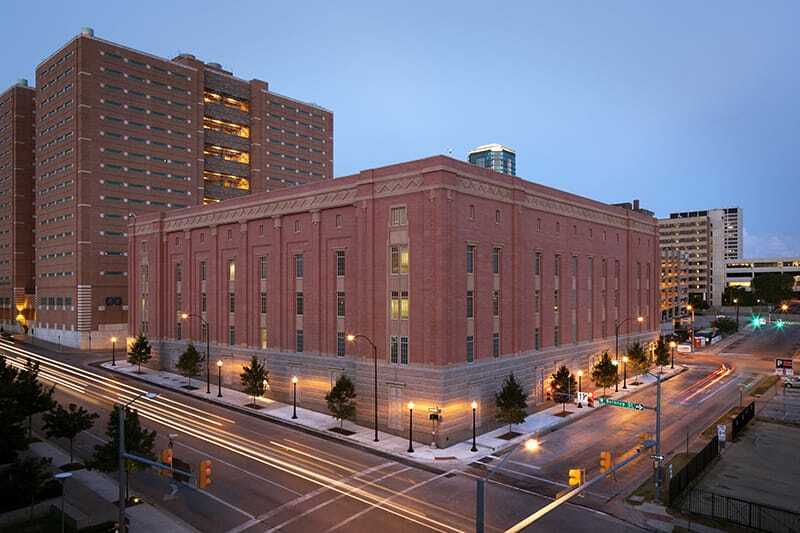 The project included a five-story court building with 19 courtrooms and a basement with holding cells for inmates at the jail who need to appear for family cases, as well as secure parking for judges. 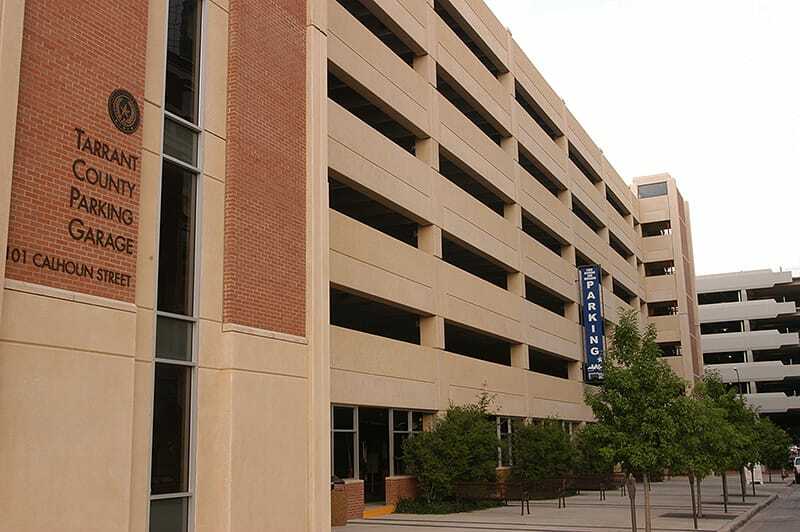 A 743-space parking garage was also included and was completed first in order to support the current justice facilities. 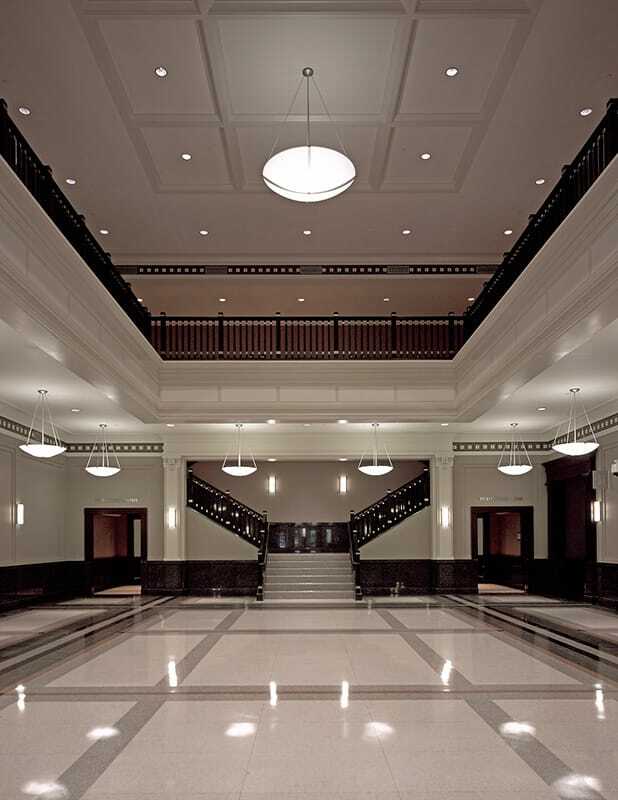 It was important that the design of all of the justice facilities maintained a fluid and consistent look to coordinate with the original historical Tarrant County Court House that was built in the late 1800s. Native Texas materials and red granite from the same local quarry that was used for the original courthouse was utilized in the new facilities to match the design of the surrounding historical buildings. Early on, Gilbane learned that the facility could not keep up with the fabrication schedule. To stay on track, Gilbane worked with the fabricator and solicited help from their head office in Cold Springs, MN which doubled the fabrication capacity. The granite was shipped by rail from Texas to Minnesota for fabrication and then sent back to the project site for installation. This solution proved to be one of the best schedule decisions made for the project.